Have you been searching for online business statistics to help you grow your business? The type of content you publish for customers, the way people make online purchases, and how people search for information is constantly changing. That’s why staying up to date on the latest trends and stats is so crucial to your success. In this article, we’ve compiled a detailed list of online business statistics for you so you don’t have to look all over the place for the data you need. Now, let’s check out this amazing roundup of online business stats and facts! The internet is a big place. And it continues to grow and diversify with each year. 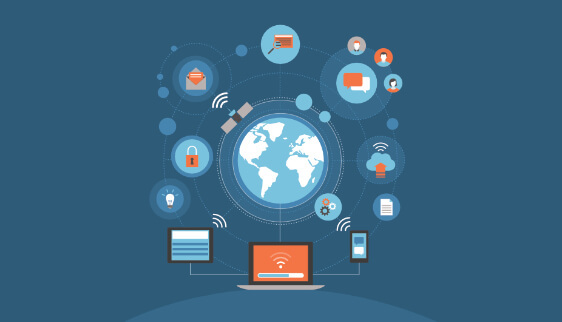 Here are some general internet facts and statistics that you’re sure to appreciate as you make your mark in this competitive landscape and grow your business into a successful one that your customers love. 2. Asia has the highest percentage of internet users (49%), followed by Europe (16.8%), Africa (11%), and North America (8.2%). 4. Google averages 40,000 searches every second, which equates to 1.2 trillion searches worldwide per year. 7. Google remains the most popular search engine. 8. WordPress raked in a whopping 15.5 billion pageviews in 2018 alone. 11. 44.1% of people use laptops and desktops, 51.6% use mobile phones, and 4.2% use tablets. 12. Behind WordPress, the next five most popular content management systems are Joomla, Drupal, Magento, Blogger, and Shopify. 13. People on mobile devices spend the most time on these apps: maps, instant messenger, music, photos, weather, and games. 14. When it comes to social media apps, the most popular are Facebook, YouTube, WhatsApp, Facebook Messenger, WeChat, and Instagram. Knowing how people engage with their favorite brands and what influences them to buy are the keys to growing a successful online business. That’s why we’ve gathered some of the most compelling online business and eCommerce stats and facts around. 2. 35% of small business owners feel that their business is too small for a website. 3. 19% of small business owners without a website believe that their business would grow 25% in three years or less with the benefit of a website. 6. Men tend to spend more per transaction than women, spending an average of $220 versus $151 for women. 7. 30% of people would rather return to a website they’ve purchased from in the past. 8. The reasons people decide to buy include competitive pricing (36%), preferred website (30%), best delivery options and price (17%), stock availability (14%). 9. 92% of all online feedback is considered positive, followed by 6% neutral, and 2% negative. 10. Most people (47%) share feedback on the seller’s website, followed by Facebook (31%), brand websites (18%), WhatsApp (17%), and Instagram (12%). 11. Other popular places to add reviews and recommendations include online forums, WeChat, blogs, Twitter, YouTube, Snapchat, and Pinterest. 12. The top five things that influence buying decisions are: lowest price, enhanced delivery options, easy return policy, payment options, ability to see inventory availability, and information about the product/service. 13. The two main reasons people won’t buy online include wanting to see and touch the item before buying and delivery taking too long. 18. 71% of people believe they’ll get a better deal online, even if the item isn’t technically on sale. 19. It costs upwards of 5-6 times as much to acquire a new customer than to retain an existing one. 20. Loyal customers are worth up to 10x as much after they make their first purchase. 21. 73% of people prefer to do business with brands that personalize the shopping experience. 22. If you require account creation at checkout, 23% of people will abandon their carts immediately. 23. Customer service means a lot; 80% of people claim they’ll quit doing business with a company after a poor customer service experience. 24. 71% of people don’t trust sponsored ads, 69% don’t trust advertisements, and 65% don’t trust press releases. 25. 82% of people want an “immediate” response to their marketing or sales question. Over half of all businesses claim that generating leads and traffic to their site is their biggest marketing challenge. If this is something you struggle with, read up on these important facts and statistics to see where you can make improvements. 2. Qualified leads rely on word of mouth (55%), customer references (46%), and media articles (38%) to make purchase decisions. 4. It’s expected that by 2020, there will be more than 2 billion online shoppers. 5. The United Kingdom, United States, and South Korea take the lead when it comes to online buying. 7. 18% of local mobile searches lead to a sale within one day. 10. 45% of companies use a CRM to store lead data and 84% of those companies use a lead scoring strategy. 11. 17% of people still use spreadsheets to store lead information. 12. Web forms are the most popular way to capture leads, followed by traditional data entry. 14. That said, most marketers will admit the budget for lead generation will increase to keep up with the competition. 15. The top lead generation strategies used by marketers involve a company website, email marketing, and SEO. 16. 25% of small businesses have no idea what their lead generation conversion rates are. Content marketing is a central part of doing business online. After all, if people don’t know you exist, and you don’t add value to people’s lives, selling online may not be as lucrative as you’d like. Here are some great content marketing and blogging stats that will help inspire new marketing ideas or at least remind you why content marketing is so important. 4. It also generates 3x as many leads as outbound marketing, but costs 62% less. 5. As far back as 2014, people saw an average of 5,000 ads/day. 6. Small businesses with blogs get 126% more lead growth than those without. 7. 61% of people will make a purchase after reading a recommendation on a blog. 8. If you want 6x times more conversions than traditional marketing, implement content marketing into your overall plan. 9. Websites with blog content have 434% more search engine-indexed webpages. 10. Publishing 16 blog posts a month will garner you about 3.5 times more business. 11. 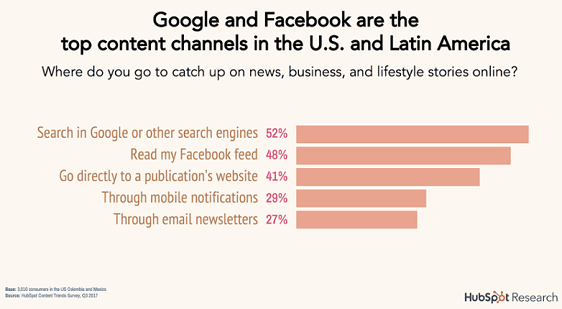 83% of B2B marketers use email newsletters as part of their content marketing strategy. 14. Leading publishers using WordPress include TechCrunch, TED, CNN, and the National Football League. 15. The top five languages being used on WordPress blogs include: English (71%), Spanish (4.7%), Indonesian (2.4%), Portuguese (Brazil) (2.3%), and French (1.5%). 16. Approximately 70 million new posts and 77 million new comments are published every day using WordPress. 18. Blogs are a trusted source for online information. 19. Marketers prioritizing blogging see 13x the positive ROI. 20. Blogs have the potential to generate businesses 2x more email traffic. Digital marketing continues to evolve, and it just so happens that video content is coming along for the ride. As the second largest search engine in the world, YouTube can attest to the fact that people love to watch videos for a variety of reasons: entertainment, education, and information about brands, products, and services. Read on to find out some of the best video marketing statistics so you can decide whether video marketing is something you want to invest in. 2. 4 out of 5 people believe product demos are helpful. 3. 45% of people watch more than an hour of Facebook or YouTube videos a week. 4. 43% of people want to see more video content from marketers. 6. 53% of those viewers then contacted the business after watching the video, with 51% visiting the company website, and 33% visiting the physical shop. 7. 4x as many people would rather watch a video about a product than read about it. 10. 85% of Facebook video content is viewed without sound. 11. Over half of marketers believe that video is effective for increasing brand awareness. 12. 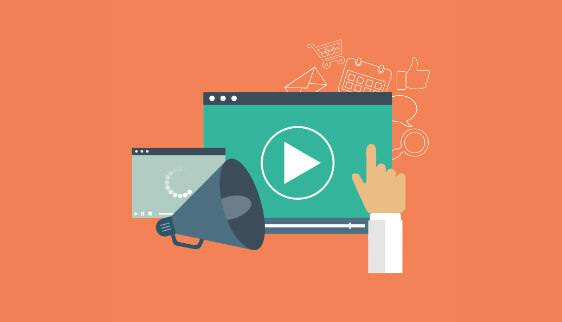 Creating a video landing page has the potential to increase conversions by as much as 80%. 13. 52% of marketers claim that video content is the type of content with the best ROI. 14. People tend to stay on webpages 2.6x longer if there’s video content. Email marketing is a great way to generate leads, nurture relationships with new subscribers and existing customers, and promote your business to people long after they leave your website. Take a look at these exciting email marketing statistics and facts and discover where you can make changes in your own strategies. 2. Email personalization generates a 26% increase in open rates. 3. Automated emails can boost revenue by as much as 320%. 4. Approximately 53% of emails are opened on mobile devices; of those opens, 23% of people will re-open the same email again later. 5. People who re-open emails on a computer are 65% more likely to click through. 6. You can expect up to a 760% increase in revenue generated by segmenting your email campaigns. 7. 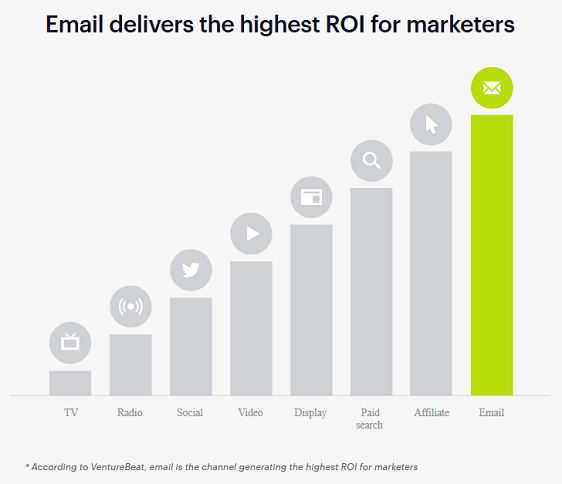 Email is 40x more effective at acquiring new customers than Facebook or Twitter. 8. 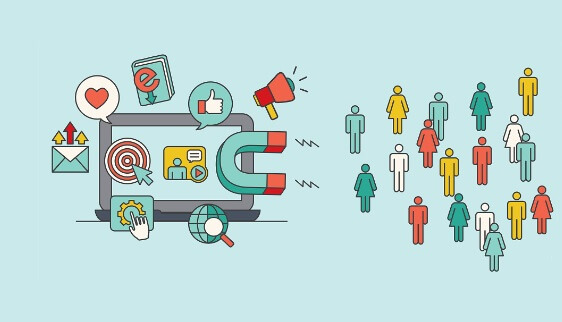 Including a call to action button instead of a link boosts conversion rates by as much as 28%. 9. 68% of people base whether to open an email or not according to the “From” name. 10. 61% of consumers prefer to be contacted by brands via email. 11. Half of all small and medium-sized businesses use marketing automation software to send drip campaigns and keep people engaged. 12. Split testing your email campaigns can improve conversions by 49%. People are spending more of their free time on social media than ever before. Adding to that, brands are advertising to their target audience on a variety of platforms, and consumers are not only learning about products and services, but visiting company websites from their social media accounts at alarming rates. Check out how social media has the potential to help you succeed. 2. If your social posts are visual, they’re 40x as likely to get shared on social media. 3. More than 50 million businesses use Facebook Pages to connect with customers; 4 million of those businesses pay for social media advertising. 4. 92% of all user interactions on Twitter involve link clicks. 5. Top brands on Instagram see the highest engagement rates when compared to Facebook and Twitter. 7. 62% of consumers share online deals with friends, exposing your brand to a broader audience. 8. 78% of small businesses attract new customers and engage existing ones using social media. 9. 85% of online orders from social media come from Facebook. 11. The average eCommerce site publishes 4.55 posts a week on their Facebook page. 12. Business Facebook communities are growing by an average of 8% a month. 13. 60% of those with a Facebook account are also using Twitter. And there you have it! The ultimate list of online business statistics designed to help you find ways to improve your business, grow your audience, and make more money online. Just remember, when it comes to generating leads for your online business, web forms rank as the best way. If you’re in need of a beginner friendly and simple to use form builder for WordPress, be sure to read about how to grow your email list fast using WPForms.